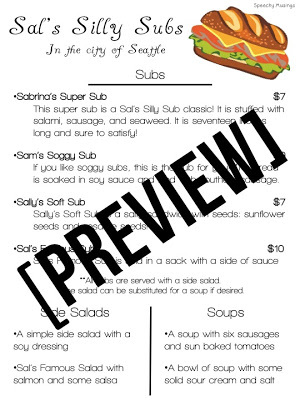 I’m so excited today to introduce a new monthly feature on the blog! I wanted to find a way to connect you to more amazing SLPs, special education teachers, and even parent blogs. 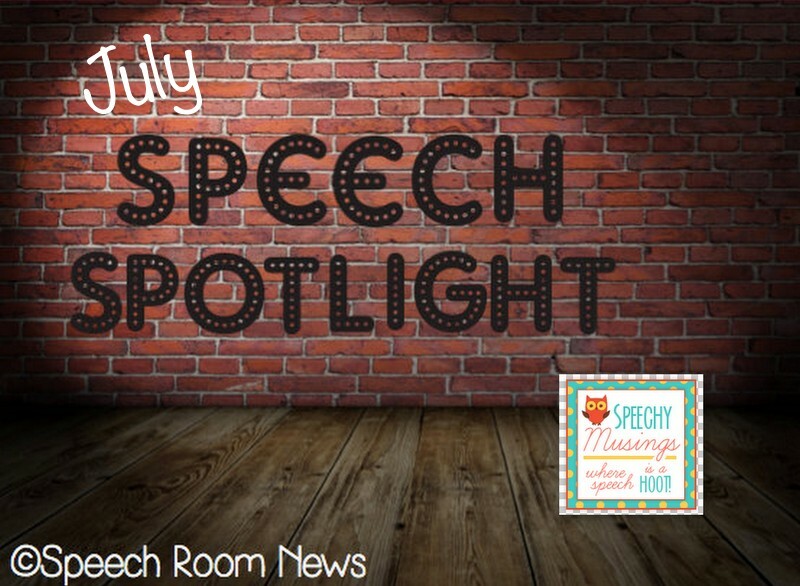 I’m planning to feature one website (or blog or TpT site) per month in our Spotlight of the Month! First up is Shannon from Speechy Musings! I’ve been following Shannon’s blog for a while now and when I asked her what she is most ‘proud’ of she mentioned her Articulation Menu’s. I was NOT surprised at all because I bought those during a recent TpT sale and just love them! Shannon is a second year graduate student. She decided to start blogging and making materials to meet her own clients’ needs and to track all of her ideas and resources. Since then, she has realized that it’s the perfects way to learn more about the field and continue to apply to content she learns in class. Check out Speechy Musings for yourself and see what else Shannon is up to during graduate school! You can follow her on facebook, twitter, and pinterest. 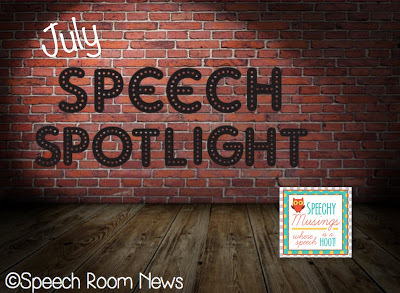 ** If you would like to be features in the monthly Speech Spotlight please complete the application form at the top of the blog. Anyone with an education website, blog, tpt store is welcome to submit an application.